George Andrew Bowley is a lifetime member of The Recording Academy (Grammys) and a member of Broadcast Music, Inc. (BMI). HAYMARKET, VA, September 28, 2018 — Marquis Who's Who, the world's premier publisher of biographical profiles, is proud to present George Andrew Bowley with the Albert Nelson Marquis Lifetime Achievement Award. An accomplished listee, Mr. Bowley celebrates many years' experience in his professional network, and has been noted for achievements, leadership qualities, and the credentials and successes he has accrued in his field. As in all Marquis Who's Who biographical volumes, individuals profiled are selected on the basis of current reference value. Factors such as position, noteworthy accomplishments, visibility, and prominence in a field are all taken into account during the selection process. A Midshipman at the U.S. Naval Academy in Annapolis between 1955 and 1959, Mr. Bowley graduated with a Bachelor of Science Degree in Naval Science and served for twenty years as a naval officer; retiring as a Commander in 1979. Earlier, he had earned a Bachelor of Science Degree in Communications Engineering from the U.S. Naval Post Graduate School in 1965. He subsequently attended the Defense Systems Management College in 1977 and was awarded the title of Senior Weapons System Acquisition Manager by the Chief of Naval Material. He notably holds numerous certifications and military qualifications and was awarded the Navy Achievement Medal in 1968. Mr. Bowley subsequently served in industry for an additional 40 years as President and Chief Executive Officer of Sync Productions, LLC, since 1975. He had also spent five years with ASRC Federal Holding Company in Greenbelt, MD, between 2000 and 2005. Serving as a Division Director of Program Management, the organization supports a family of companies that provide a broad range of services to federal, civilian, intelligence and defense agencies. Mr. Bowley served as a Program Control Officer for the Planning Research Corporation in McLean, VA, between 1983 and 2000, worked in high level positions at Audio-optic Technologies, Inc., Dynamic Systems Inc., and Three Ell Publishing. He was a Management Consultant and President of Management Ink in Burke, VA, for 10 years between 1995 and 2005. 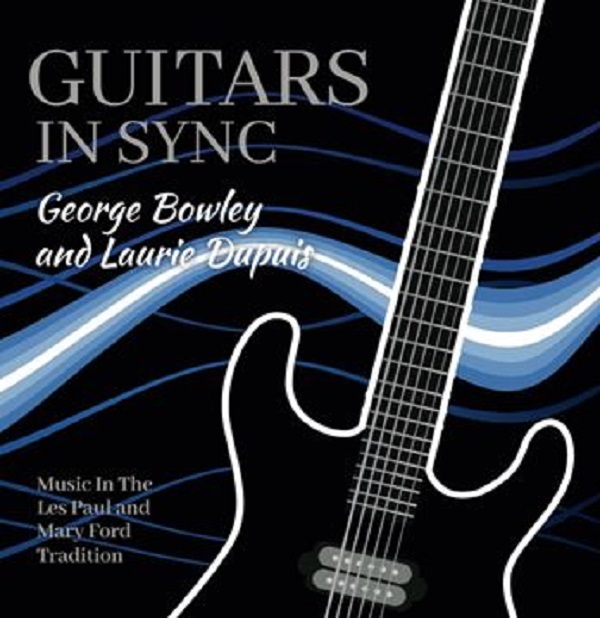 Mr. Bowley is a professional guitarist and has been recording music since 1951, and was friends with renowned guitarist Les Paul for over 60 years, from whom he acquired most all of Paul's recording and playing techniques. Mr. Bowley was joined by his daughter in the 1980s and they have been recording together ever since. Using their unique multiple guitar and vocal styling, they have recorded several cassette and CD albums together, distributed many single recordings, appeared on nationally syndicated radio and television, and have been involved in broadcast production and jingle work for over 35 years. A lifetime member of The Recording Academy (Grammys) and a member of Broadcast Music, Inc. (BMI), Mr. Bowley has been included in the Second and Third Editions of Who's Who in Entertainment. Married since 1962 to wife Judith Ann Murphy, Mr. Bowley has three wonderful daughters. He continues to enjoy songwriting, recording, producing and performing his music. In recognition of outstanding contributions to his profession and the Marquis Who's Who community, George Andrew Bowley has been featured on the Albert Nelson Marquis Lifetime Achievement website. Please visit www.ltachievers.com for more information about this honor.